Durable acrylic design ensures years of use. 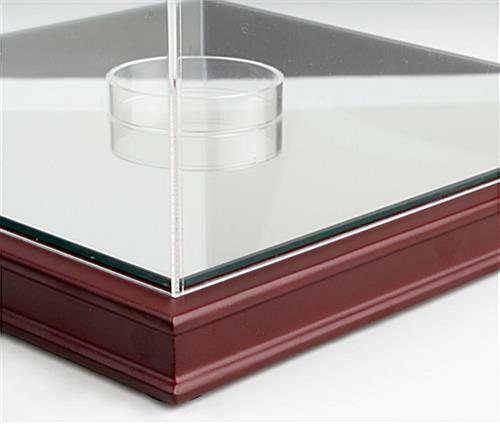 Beveled acrylic panels and mirror base for easy viewing at every direction. 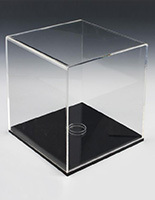 Includes an acrylic riser for displaying round or uneven objects. These sports cases are an affordable way to display your collectibles without breaking your budget! The sports cases look simple and modernized for displaying a variety of items. 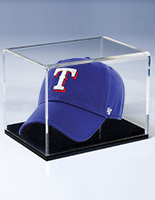 Featuring an MDF base with an acrylic top, these sports cases create a stunning way to display your prized possessions. 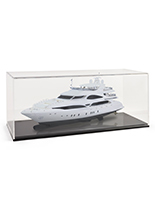 Collectibles placed in the display case will look attractive, with the beveled acrylic panels and a reflective mirror base. 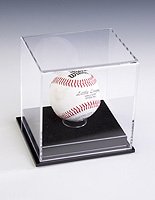 Collectible displays, sports cases also include an acrylic riser. 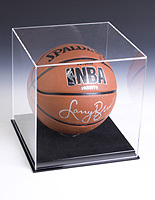 With these sports cases you can display almost anything from autographed sports memorabilia to awards. 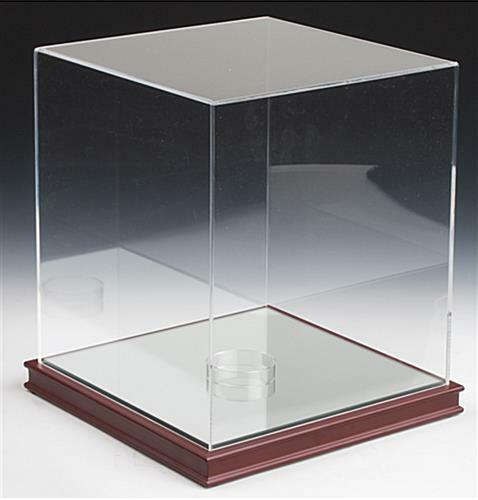 Show off your achievements with confidence by using these display cases. 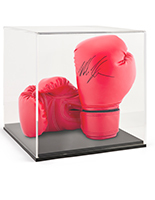 Protect your memorabilia for many years to come with a sports case. 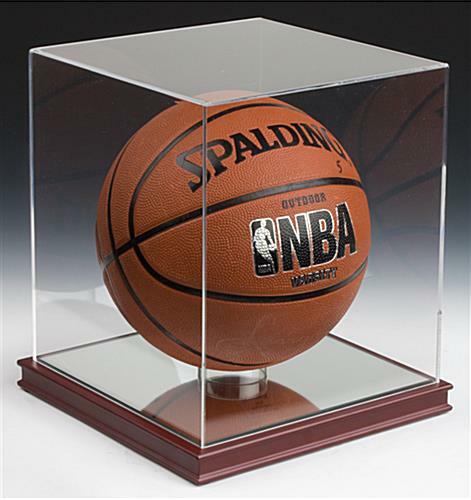 These sports cases measure 9-7/8"w x 10-3/4"h inside, great for displaying a variety of collectible sporting goods, such as basketballs, softballs, jerseys, helmets, shoes or trophies. The top of the sports cases lifts off of the base for easy access and cleaning. 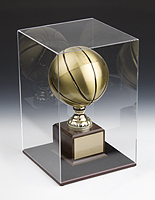 These sports cases, also known as display cases, are shipped fully assembled with no assembly required. 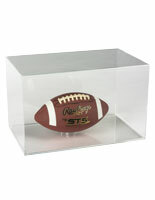 These acrylic cases, sports cases are also available in many different sizes and designs as well. Protect your precious collectibles today with these sports cases.